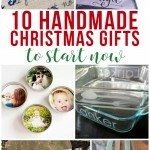 7 Steps to a Handmade Christmas LAUNCH! 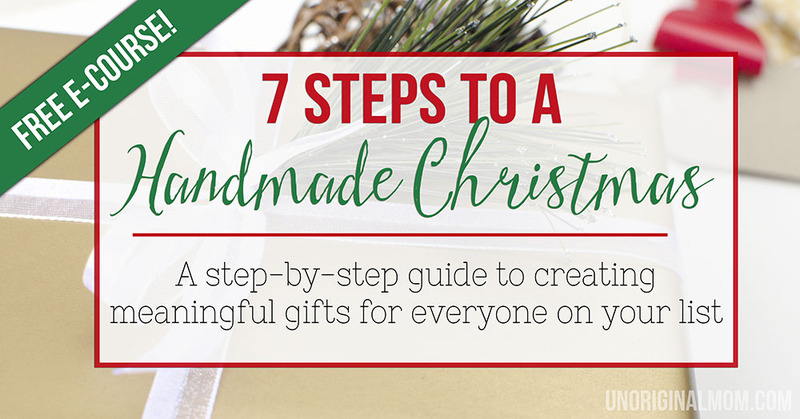 Friends, I am literally bursting-at-the-seams to announce this to you…today is the launch of my brand new “7 Steps to a Handmade Christmas” FREE eCourse!!! I’ve been working on this behind-the-scenes for several months now, and I am so excited to finally be able to share it with all of you. Last year, I worked hard to create handmade Christmas gifts for *almost* everyone on my list. It gave me so much joy throughout the whole process! Coming up with the ideas, spending the time creating them, wrapping them up, and giving them to my loved ones – I loved every step of the journey. Of course, there was an element of stress involved, too…mostly in the time management aspect of it all. 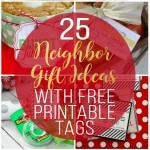 So, as I was thinking ahead to this Christmas, I decided I wanted to try to make at least one small gift for every single person on my list – but I wanted to be better about planning ahead to minimize the last-minute craziness that always hits in mid-December. As I was thinking through a strategy to do that, I kept getting struck by the idea that I couldn’t be the only one to struggle with this. I know there are other folks out there – maybe you? – who have the desire to hand make Christmas gifts but are lacking in time, ideas, or organization which discourages them enough to not want to give it a try. 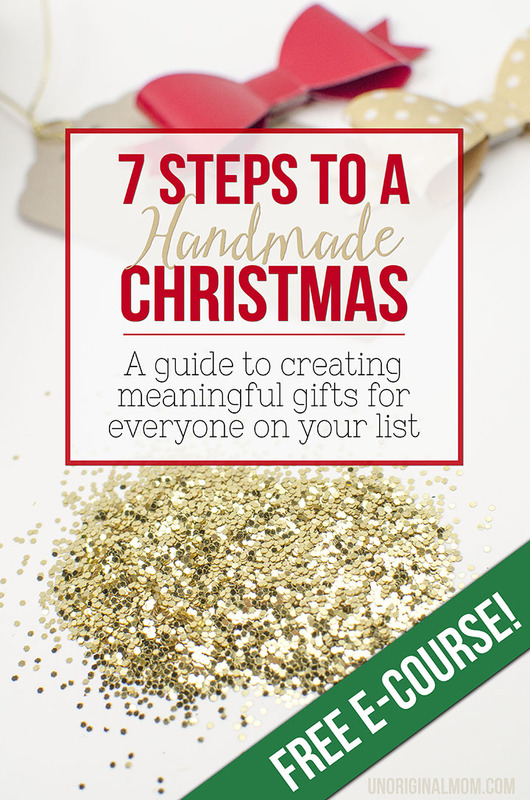 There are more details over on the Handmade Christmas page, but essentially this eCourse is all about giving you the tools you need to be successful at creating handmade Christmas gifts for *everyone* on your list this year. It’s packed full of gift ideas and organizational strategies that will guide you step-by-step through the entire process! 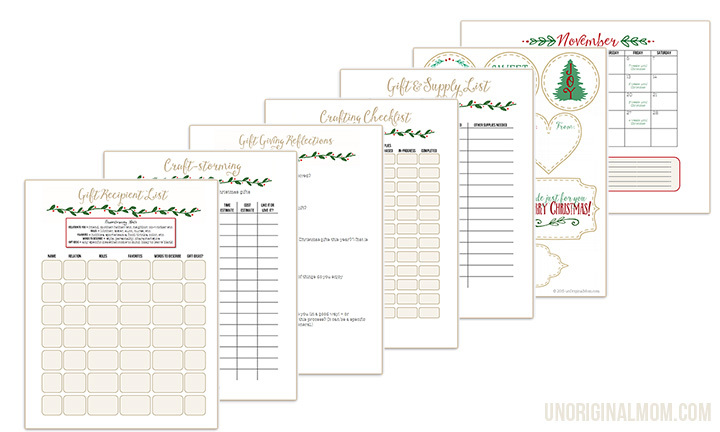 Plus, you’ll receive a helpful printable for each step along the way! The most difficult question – WHAT to give? Once you have a great gift idea for someone, the rest is easy – right? 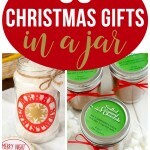 It’s coming up with that gift idea that can be the most stressful part of gift-giving! I have some great tools and strategies that will help you zero in on the perfect gift for each individual on your list – gifts that will be used, cherished, and enjoyed instead of put off to the side to collect dust. It’s FREE – so what are you waiting for? Are you ready to be filled with the joy of gift-giving – and gift-creating? 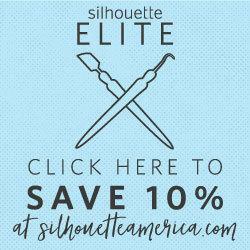 Sign up today – you’ll receive the introduction email shortly, and begin with Step 1 after that! Click HERE to head over to the 7 Steps to a Handmade Christmas page where you can sign up now! Want to RECEIVE handmade Christmas gifts this year?? Share this course with your friends!! Pin it, tweet it, or share it! 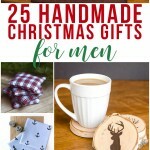 7 Responses to 7 Steps to a Handmade Christmas LAUNCH! I have a cricut machine. Can I make these on that machine? Hi! Sorry, I’m not sure what specifically you’re asking about…can you make what? Oh I’m signing up right away! I’d love to make more of our gifts. Thanks Lisa!! Hope the course is helpful for you! This class has so inspired me. I have one gift done and have my gift list, supply list and timeframe list all made as well. This has been wonderful. Thank you so much for doing this I always have the best intentions but often get too bogged down. Having a “curriculum” to follow helps me so much.